2019 Ram 2500 Big Horn 4WD 6-Speed Automatic Bright White Clearcoat Cummins 6.7L I6 Turbodiesel Welcome to University Dodge Chrysler Jeep Ram. For a few years now, University Dodge Chrysler Jeep Ram has been proudly serving the Hamilton, Morrisville, Norwich and greater Oneida areas. During that time, we’ve cultivated a deep appreciation for our area and its residents. To our team, you’re not just a customer. You’re a friend, neighbor, and partner, and we want to work with you to create the most satisfying automotive experience possible. Even after you’ve made your purchase, we hope you’ll return time and again for our excellent customer service. 2019 Ram 2500 Big Horn 4WD 6-Speed Automatic Steel Metallic Cummins 6.7L I6 Turbodiesel Welcome to University Dodge Chrysler Jeep Ram. 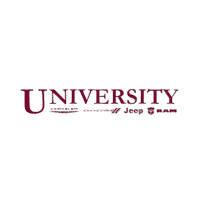 For a few years now, University Dodge Chrysler Jeep Ram has been proudly serving the Hamilton, Morrisville, Norwich and greater Oneida areas. During that time, we’ve cultivated a deep appreciation for our area and its residents. To our team, you’re not just a customer. You’re a friend, neighbor, and partner, and we want to work with you to create the most satisfying automotive experience possible. Even after you’ve made your purchase, we hope you’ll return time and again for our excellent customer service. 2019 Ram 2500 Limited 4WD 6-Speed Automatic Pearl White Cummins 6.7L I6 Turbodiesel Welcome to University Dodge Chrysler Jeep Ram. For a few years now, University Dodge Chrysler Jeep Ram has been proudly serving the Hamilton, Morrisville, Norwich and greater Oneida areas. During that time, we’ve cultivated a deep appreciation for our area and its residents. To our team, you’re not just a customer. You’re a friend, neighbor, and partner, and we want to work with you to create the most satisfying automotive experience possible. Even after you’ve made your purchase, we hope you’ll return time and again for our excellent customer service.